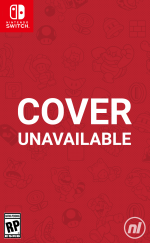 If you've got a save file for the original game on your system, you'll be able to craft the Legendary Builder’s outfit and the Dragonlord’s Throne, too. While you wait for this release, why not check out our impressions of the original game. Are you interested in this similar-looking sequel or did you get your fill with the first one? Share your thoughts in the comments. I never really got into DQ builders 1. So I think I will pass on this. If I want Minecraft, I can play Minecraft. If I want Dragon Quest, I can play Dragon Quest. Especially with Dragon Quest 11 Deluxe Ulimate Definitive Superb Omega Prime Edition SLXR coming out later this year on Switch. Gosh dang. Summer is PACKED. I really enjoyed Dragon Quest Builders. But this one cranks the awesome up to 11. Love that sail you can use like Zelda BotW. I just picked up the first one on Switch a few days ago and I'm loving it. I'm not a big fan of Minecraft but I'm totally hooked on DQB. I'm glad the sequel is getting localized. I'll definitely be picking it up. I enjoyed the first game at first but got really bored of it by the end of the second chapter. It certainly had potential though so I hope that this one builds on that foundation and can hold my attention a bit longer. Does this have split screen MP?? I know it has multiplayer and they described it as "local" but that could mean split screen or 2 switches right next to one another. I have tried searching for a definitive answer but havent found one. Im guessing they mean the latter but just want to be sure. not playing the first one, this time will buy for sure! Haven’t played it. Played a modest amount of Minecraft and enjoy it I also like fantasy stuff, cartoons and relaxing games so I’ll keep an eye out for the review. @ReaderRagfihs I am right there with yah. I bought the first one on a whim right around this time last year. Sunk 120 hours into it and loved every moment. Got me hooked on the DQ franchise! I'm soooooo pumped for this game. Day 1 buy for me. Wow this looks so much better than the first one, i'm intrigued. 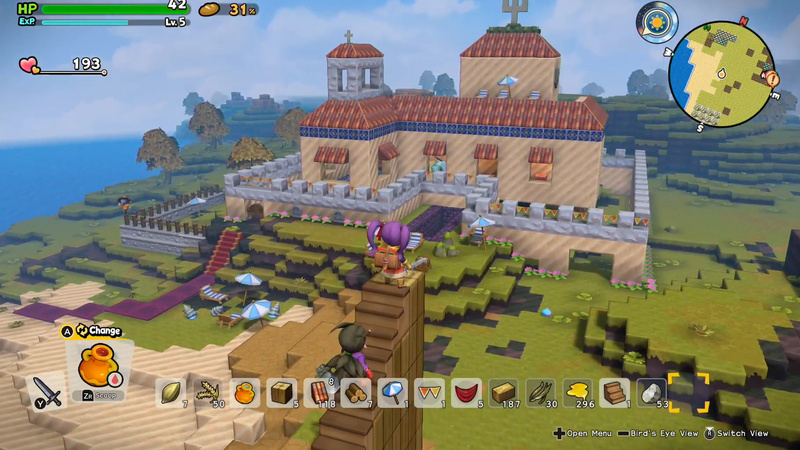 In fact if DQB1 was basically Dragon Quest meet minecraft, the mechanics of DQB2(which include villagers needs) make me almost think of Dragon Quest meet dwarf fortress. 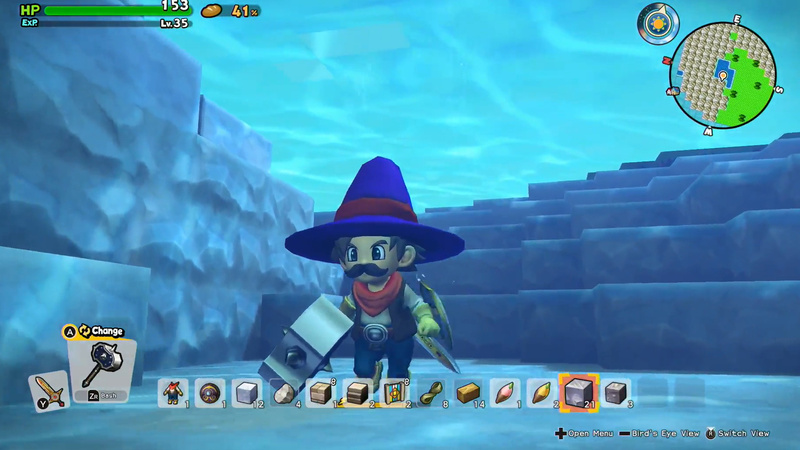 You can even have villagers build your blueprints this time around. Yet you still exist as a physical character being able to directly act(and build stuff yourself) in the game instead of an unseen overseer which was a scale of play I had been looking forward to for a long time when it comes to building games. @CurryPowderKeg79 it does. I'm really hyped for the Dwarf Fortress-lite mechanics of being able to directly assign tasks to villagers this time around. In fact a lot of the tweaks seem to imply that's what they want us to do in fact when it comes to villages. @BenAV I agree. I loved the first chapter, which was about 5 hours. The second chapter was closer to 20 hours and really felt like it was dragging near the end. If the sequel has smaller chapters, I'm on board. Did they say 4 players? Looking forward to this. I tried the demo for the first. 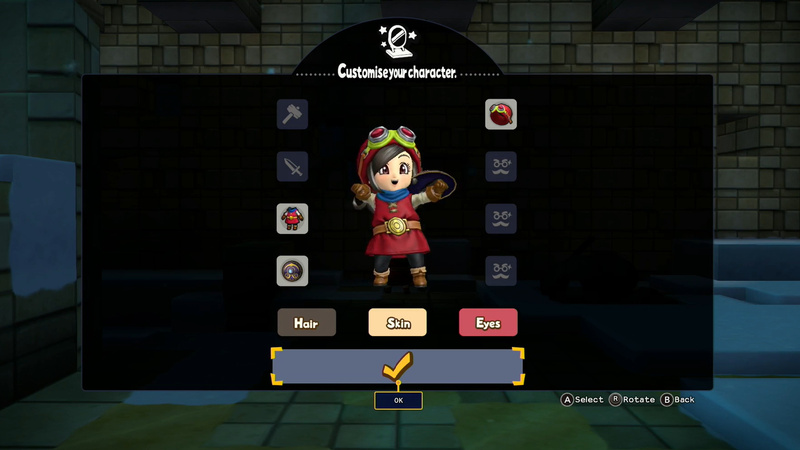 I really very much enjoyed what I played of the first Dragon Quest Builders when it released on PS4 back in 2016, but there was a major difficulty spike in the third chapter and I got annoyed and stopped playing and haven't gone back to it since, though I keep meaning to give it another shot. Assuming part 2 can avoid anything like that I'll be all over it. @Alucard83 Minecraft is quite charming and has a lot more freedom than DQ builders. 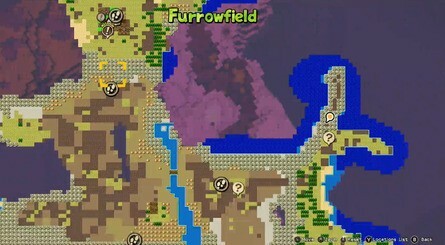 I don't dislike DQ builders, it's just that I feel like it tries to do two very different things and as a result doesn't do either as well as it could. @Heavyarms55 I tend to prefer something with a bit more structure and direction than I understand Minecraft to have, though admittedly I've never played it and know little about it beyond the basics. I really should get around to checking it out one of these days. @Alucard83 I'm with you on games that require a lot of maintenance and busy work (which is what I assume you mean by "keep it up") which is why I've never really gotten into games like Harvest Moot and Stardew Valley, but I don't recall what I played of DQ Builders requiring much of that. I may be misinterpreting what you're saying though, feel free to correct me if I'm wrong. As for all those ridiculous, awesome buildings other players put together, I'm in awe of the time, effort and creativity that goes into making them, but tend not to beat myself up too much over lacking the skill and patience to do anything of the kind myself. I'm happy enough just to see what other people can come up with. Easy buy for me (loved the first one) and since I don't like Fire Emblem too much, it'll get most of my attention. Unfortunately the new Final Fantasy XIV expansion comes out a week+ before. Saving up to get this digitally next month. Games seem to be more expensive in Japan. I am excited for the release. I have 1 and while I have not finished it yet I thoroughly enjoy it.